As spoiler season for Guilds of Ravnica wraps up and we look forward to the start of a new format and say goodbye to M19 (finally), I thought it might be fun to take a look at, in my opinion, what characteristics make up a good limited format. I went back and examined the cards, mechanics, and archetypes from my four favorite draft environments: Dominaria, Hour of Devastation, Khans of Tarkir, and Innistrad. What made these formats shine, stand out among the rest, and cause me to want to go back and draft them again and again right up until they rotated? I’ve got the answers below. Let’s countdown the Top 8 Characteristics of a Great Limited Format! Okay, I admit this may be showing my bias for multi-color nonsense decks. But I also think it shows my love for Cube as well. One of the biggest level-ups for any cube drafter is realizing the power of picking lands. Duals and fetches are some of the best cards in any Cube environment and that is because a strong mana base leads to a consistent deck. And in a game with lots of variance, consistency is quite powerful. When lands are viable picks in a non-cube limited environment, it adds an extra layer of decisionmaking in draft. Choosing when to take a land versus an actual spell provides an interesting tension for any drafter to navigate. The memorials in DOM, the Deserts in HOU, and the duals and tri-lands in KTK all added an extra layer of challenge to those drafts. The days of Doom Blade and Lightning Bolt at common are behind us and I don’t mourn them. I think the varying degree of power of removal we are offered, both in mana cost and restrictions, makes for an interesting puzzle to solve as we begin to figure out a format. A great limited format has strong removal at common in almost all five colors. Additionally, the color requirements of that removal plays a large role in how flexible that removal is. 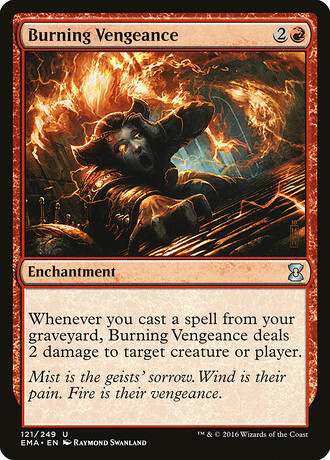 Eviscerate and Blessed Light being splashable made a huge difference in giving all drafters catch-all answers to the powerful threats that needed to be answered in DOM. 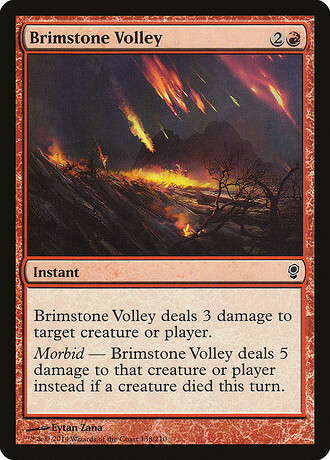 Brimstone Volley was probably the best common in all of ISD, and it was splashable! I also think a deep limited environment gives strong interaction to blue and green, two colors that often get shafted in the removal department. Blink of an Eye from DOM was one of the best commons, Prey Upon from ISD was the first of a long line of fight spells, with Savage Punch being one of the best commons in KTK and likewise for Ambuscade in HOU. And Claustrophobia in ISD ushered in a new wave of removal, allowing blue to interact not just with bounce or counterspells but with its own Pacifism variant. Where to begin here? I think it’s no coincidence that so many of my favorite sets are multicolor formats. They allow you to find your lane and be rewarded for it. But they also offer some of the most fun build-arounds in limited history. Secret Plans in KTK, Burning Vengeance and Spider Spawning from ISD, Imminent Doom and Abandoned Sarcophagus from HOU, and my personal favorite, Lich’s Mastery from DOM. A lot of these niche cards were written off in initial set reviews. I personally gave Lich's Mastery a big fat F. When seemingly junk rares or uncommons end up having a very strong home in the right deck, that makes for incredibly fun and rewarding drafts. Magic players like to feel smart, and successfully navigating a draft centered around a powerful build around is one of the best ways to feel like a genius. This may seem like a repeat of #5, but synergy decks are a whole other beast. It’s one thing to first pick a powerful but niche rare and draft a deck around it. Zacama, Primal Calamity from RIX was certainly in that camp. But being able to navigate a draft to take advantage of intrinsically powerful spells and boost the power level of supporting cards is a whole other skill entirely. Often times, these kinds of decks allow you to take a great card out a pack the first time around and wheel a card that no one else but you would want for your deck. UB Cycling Matters was one of my favorite decks from HOU and highlights this type of deck perfectly. 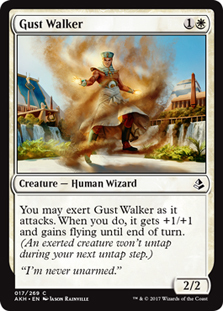 In the first half of the pack, you could grab powerful cycling payoffs like Vile Manifestation and Ominous Sphinx, cycling deserts, and strong removal, and be sure you would wheel any number of Striped Riverwinders or Lurching Rotbeasts. When you can mine two playables from a single booster pack, you’ll have a lot of options when it comes time for deckbuilding. And the more decisions you have, the more fun you'll have. When I went to look through my favorite sets to try and find some common threads, this point surprised me the most, but it makes so much sense. The graveyard as a resource adds an extra level of gameplay and decision making that leads to more interactive and fun games of magic. ISD had flashback and self mill which opened up the graveyard for every game. KTK introduced delve, an incredibly powerful mechanic that saw many cards being banned or restricted in constructed formats. 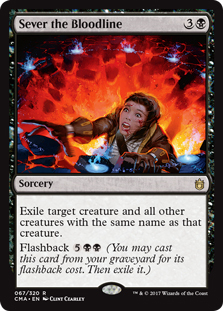 Speaking of Flashback, Eternalize from HOU gave us a taste of getting to cast creatures from the graveyard as well as Aftermath cards to further expand the potential of what the graveyard had to offer. And in Dominaria, while there was no explicit graveyard synergy, each color had various ways to gain back resources from the graveyard: Ghitu Chronicler, Daring Archaeologist, The Mirari Conjecture, Fungal Plots, The Eldest Reborn, and my personal favorite Muldrotha, the Gravetide. If there was no threat to the late game durdle decks, there would be no tension in deck building and drafting. What made these formats so good was that each one offered such strong, viable aggressive archetypes. In DOM, UR Wizards was widely considered the best deck in the format, and that deck came out of the gate fast and did not relent. While you were busy self milling and setting up your late game shenanigans in ISD, your GW opponent was busy ending the game and quickly. Two drop, Three drop, Travel Preparations and flashback was one of the scariest, most potent starts in that format. UR Spells and GW Exert were two great strategies in HOU that preyed on the 4 and 5 color control decks. And some of my favorite decks from the most recent KTK flashbacks were just straight two color aggro decks either using Savage Punch and Force Away to tempo out my opponent or curving out with warriors with Chief of the Edge and Chief of the Scale and landing a crushing Rush of Battle. Nothing frustrates me more than feeling like I don't have agency over a game of magic. I understand that variance is inherent to the game we love and I don’t want to change that, I just want to feel like wins and losses are decided by decisions I make more often than not. Formats that incentivize playing 18 lands as the rule are great ways to help mitigate mana screw, but what about flooding out? Mana sinks are the key to ensuring flood doesn't get the best of a limited player. This can come in the form of repeatable places to put mana like limited all-star Slimefoot, the Stowaway or in the form of lands becoming spells. 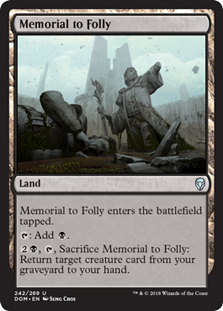 The memorials from DOM were great in that they let you cash in your lands in the mid-to-late game for a spell. 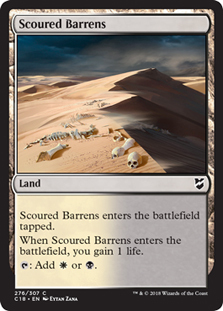 The cycling deserts were some of the best commons in each color in HOU for this exact same reason. They were lands when you needed them and spells when you didn't. 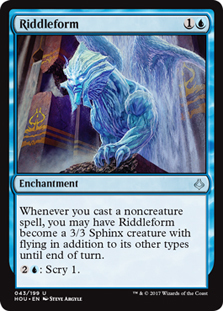 Morph as an overall theme of KTK certainly gave you a place to put your mana since you knew you could always have a play as long as you got to three lands, and your options really opened up for unmorphing when you got to five. And flashback is a great mana sink in the late game, giving all ISD drafters the ability to get two spells for the price of one card. So there you have it! My top 8 characteristics of a great limited format. I hope you enjoyed this trip down memory lane with me. And as we look to what Guilds of Ravnica has to offer us, I see many of these pillars present in that set, which has my hopes fairly high for the depth of this format. Fingers crossed! 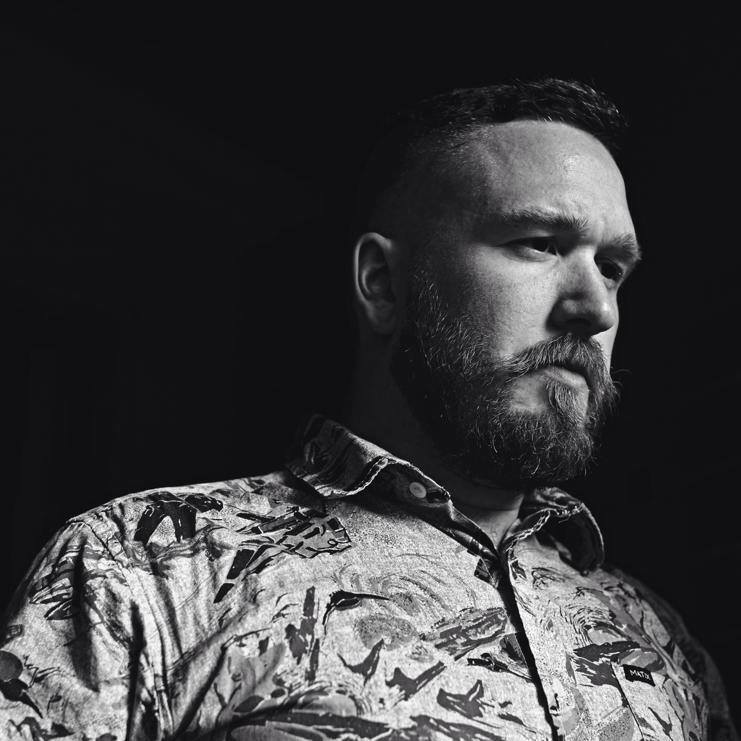 Introducing Jordan Smith, new columnist covering the cube format. Today, he looks into Guilds of Ravnica. Introducing Markus Leben as our monthly columnist looking at card design and Magic theory.